The Indian economy is retail centric, the retail industry accounts for about 10% of the GDP of the country. According to Deloitte India, the Indian retail industry is estimated to be more than US$ 600 billion and is ranked among the top five retail markets in the world. 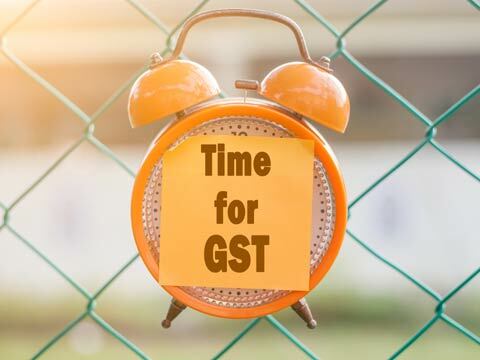 Since the advent of Goods and Service Tax on July1, Indian economy has faced quite a few blows and GST, what is being considered the greatest tax revision of the country has had some impact on the retail industry as well. The immediate effect of GST has been bringing in transparency in term of taxation, capital flow and smoothness in inter-state business. With the entire country coming under one tax rule, retailers are no more choking under multiple tax schemes that were applied previously, making business cumbersome. It can be said that the Government is equally committed towards bringing the economy within the radar of law and hence it has been revising and documenting templates, models and rules on a timely basis. To look at the impacts on a broader scale, GST has reduced the previously applicable 30% indirect tax that were levied in the form of excise duty, VAT, service tax, warehousing, consulting etc. hence the tax burden non retailers have significantly reduced. With the implementation of GST, warehousing has had a major effect on the retail industry. Industries are no more keen on maintaining warehouses in each state and each city and hence there has been a significant downsizing of warehouses. Not to forget the fact that boundaries between states are no more a factor for businesses and they are able to expand freely throughout the country without being forced to wait in queues and chains at check posts anymore. Previously, the retailers in Indian market had a tendency of cross-selling products by offering free samples or sales or one-to-one products. This system which was tax free previously has come under the GST taxation presently and giving away of free gifts is not an option anymore! Talking to Kolkata based kids apparel retailer doodlers, Mr Kalyan Bhose revealed that GST has not had much effect on the organized sector. There has been no apparent change in customer behavior either and the demands still remain standard. Doodlers, which spends 15% of their sales on marketing and growth of business, said that retail industry today has been majorly benefitted by growth of e-commerce and people who are within the benefits of availing the services of brick and mortar store are also being catered to. Mr Tirthankar Banerjee of Kolkata based cosmetic store Tilottama, explained that post GST there has been some lax in terms of production although bigger brands like Loreal, Lakme etc were prepared for the effects of GST to strike. What has happened is, there has been an increase in the MRP of beauty products while some of the products does not yet portray the new price tags. In such cases, Mr Banerjee explained, there is a loss of 1-2% for retailers as GST is being effected during the production of these items while they are not being sold at the increased price. He confirmed the fact that being a part of the organized sector has been helpful in evading initial shock waves of GST. Interestingly, talking to some of the players revealed some discrepancies that are there regarding the big hue and cry involved with GST. The new tax regime is essentially negative for the retailers who have till now evaded the tax policies of the country and have conducted business as unregistered players. 8in simple terms, what is happening is these players are generating revenue that are unaccounted for and these money is not being invested in the market for the growth of business because these fowl players are afraid that under GST, they will have to pay more tax. In that sense, the growth has been a little stagnant but it is not an issue that cannot be overcome with time. The Goods and service tax has been a major move almost like ripping a band –aid off of a broken skin, causing some initial pain and discomfort but letting the natural air to heal the injury that was done. It has been a month after GST was effective and the situation has not been adverse and shows promise.